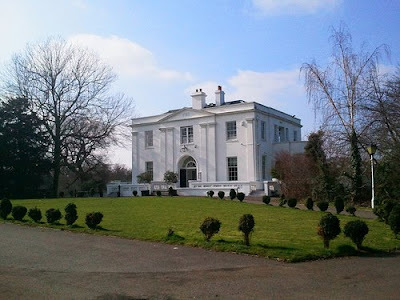 An interesting local park in West Dulwich, Belair Park is formed from the gardens of the grand Belair House, built in 1785. The park is an interesting green space, with a large open area of grass, tennis courts, and even a stretch of the usually-subterranean River Effra. Now maintained by the London Borough of Southwark, the park came into public ownership in 1965, and the landscape is Grade II listed, whilst the house is now home to the Beauberry House restaurant. 1859: North and South wings, together with conservatories and numerous outbuildings, were added on. Eventually Belair had 47 rooms. Hutton lived there with his wife, their 11 children and ten live-in servants. However the house fell into disrepair when Hutton's Berlin wool business started to lose money. Oh how easily it comes.. and how easily it can go.